It seems to be a new year with new romance for musician and businessman Dbanj popularly called the Kokomaster. 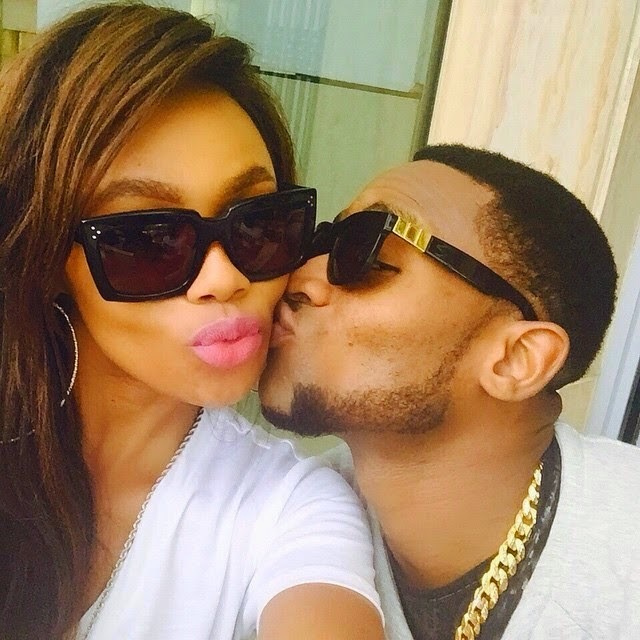 South African TV host and radio DJ Bonang Matheba is all over instagram hinting that kokomaster Dbanj and her may be couples. The radio host who had travelled from South Africa to keep a date with Dbanj has being posting comments that insinuate that love proceedings may be going on between the pair. She shared a romantic photo of herself on instagram sitting on the kokomaster’s laps. She also shared the above photo of D’banj kissing her lovingly on her cheek which had gone viral and had recently changed her instagram avatar to herself and D’banj. The South African media personality appears to be having a swell time as they both hanged out on a romantic date on new year’s day. She was also at Dbanj’s Lekki Phase 1 home alongside her friend from South Africa known as Somizi who reportedly left the couple alone and lodged at Sheraton hotel on New Year’s day. 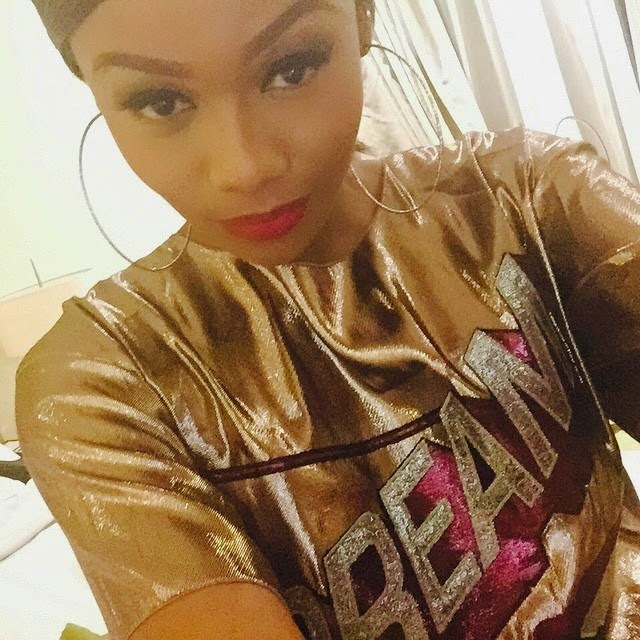 Bonang Matheba has been sharing pictures all over instagram since she arrived in Nigeria. There must be something in the cooking. Atiku Donates N50 Million, Plane & 12 Land Cruiser Trucks To Buhari’s Campaign? ?